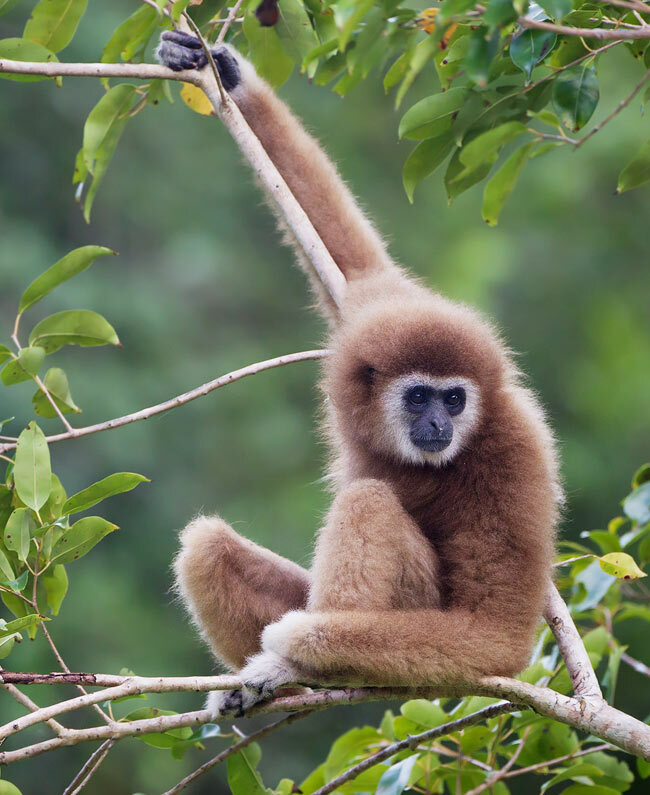 Gibbons are relatively small apes mostly found in the tropical forests of South-east Asia. Currently around 18-20 species are recognized. A number of gibbon species are now considered critically endangered, primarily as a result of habitat destruction and hunting pressure. All gibbon species are highly territorial, proclaiming their territory boundaries with exceptionally loud vocal displays. These vocalizations are often described as ‘song’, and are mostly heard early in the morning as pairs sing coordinated duets. The dominant female produces what is known as a ‘great call‘, a series of very loud notes which often accelerate in tempo and pitch. Each gibbon species has a distinctive song, and even within a single species, vocalizations can have regional ‘accents’. The complexity and structure of the ‘great call’ varies between species and because of this, is a reliable way of identifying which species may be present at a particular location. 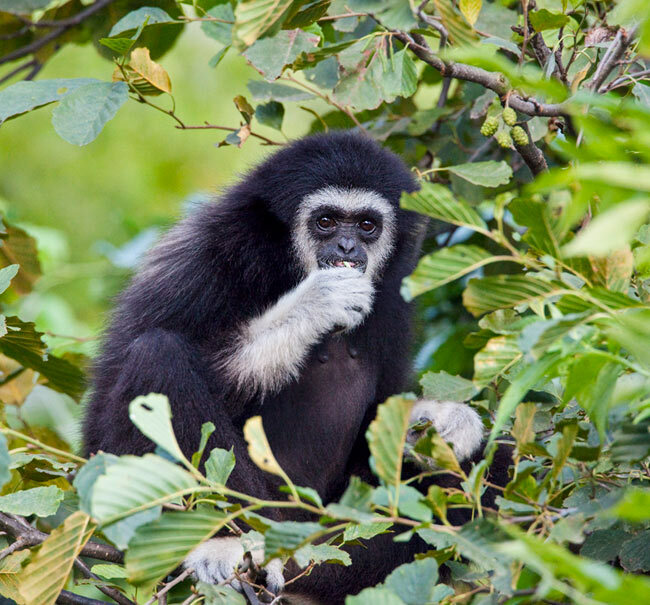 On this page you will find examples of the sounds of the White-handed Gibbon (Hylobates lar). At the bottom of this page you will find a links to sounds of a number of other gibbon species. The White-handed Gibbon (Hylobates lar) [also known as the Lar Gibbon] is a widespread species found in lowland and hill evergreen forests in Malaysia, Thailand, Myanmar, Laos, China as well as in northern Sumatra. The song of this species is a common sound at dawn in the rainforests throughout much of its range. SD458a A pair singing in Kaeng Krachan National Park, Thailand. 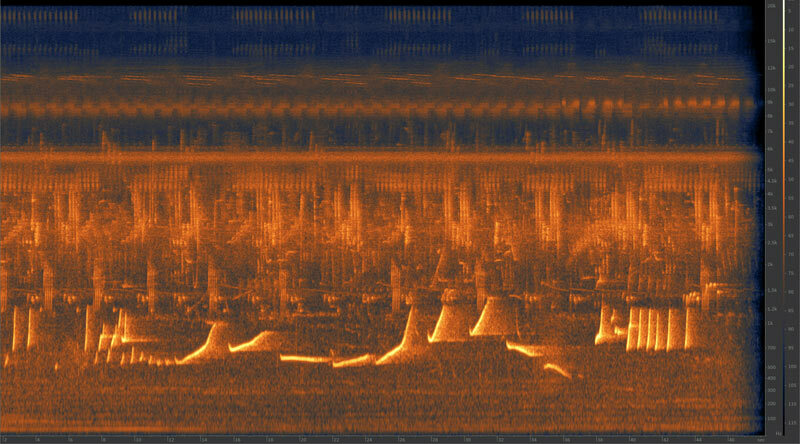 This cut includes two examples of the females loud sweeping ‘great call’. B09h Another pair duet. This one is from Taman Negara National Park in Malaysia. The great calls of females in the southern part of this species range (Peninsula Malaysia) differ somewhat to those further north. SD458b An individual (likely male) White-handed Gibbon singing at dawn in Kaeng Krachan National Park, Thailand. KT01 A male White-handed Gibbon singing at dawn in Taman Negara National Park, Malaysia. White-handed Gibbon (Hylobates lar) feeding in a rainforest tree. 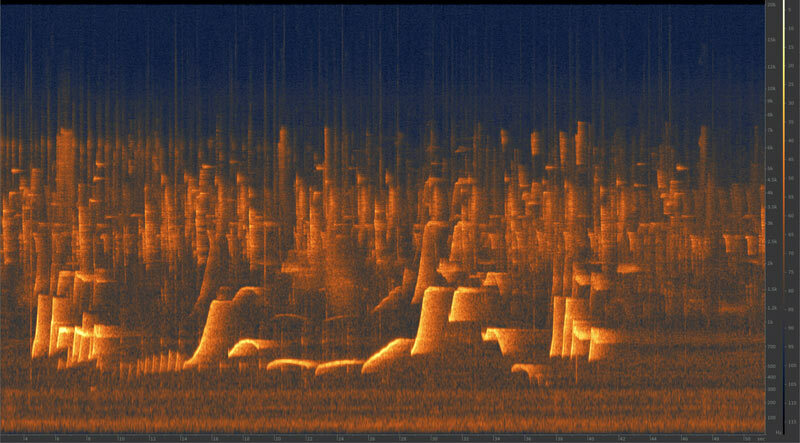 The spectrogram images below illustrate typical differences in the female ‘great calls’ between northern and southern populations of White-handed Gibbons. Notice the high notes on the example on the left (from western Thailand) are steeper, more sweeping and reach a higher pitch than those in the example on the right (from Peninsula Malaysia). Female great call of White-handed Gibbon (Hylobates lar) from Kaeng Krachan National Park, Thailand. Female great call of White-handed Gibbon (Hylobates lar) from Taman Negara National Park, Malaysia.